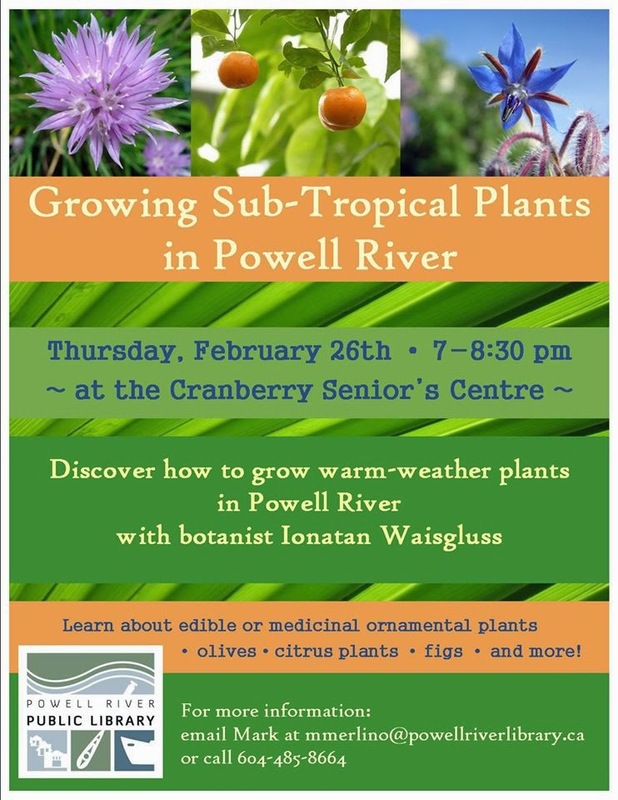 Thursday February 26, 7:00-8:30 pm - Growing Sub-Tropical Plants in Powell River. Discover how to grow warm-weather plants in Powell River with botanist Ionatan Waisgluss. At the Cranberry Senior’s Centre, 6792 Cranberry Street. For more Information contact Mark at mmerlino@powellriverlibrary.ca or call 604-485-8664.